The number of applicants for a British passport from other parts of the European Union rose by more than a third last year (2016), as people sought to cross the Channel before the Brexit ship sails. The biggest surge came in July 2016, the month which followed the Brexit referendum, in which 52 percent of Britons voted to leave the EU. The result came as a huge shock to many in Europe. 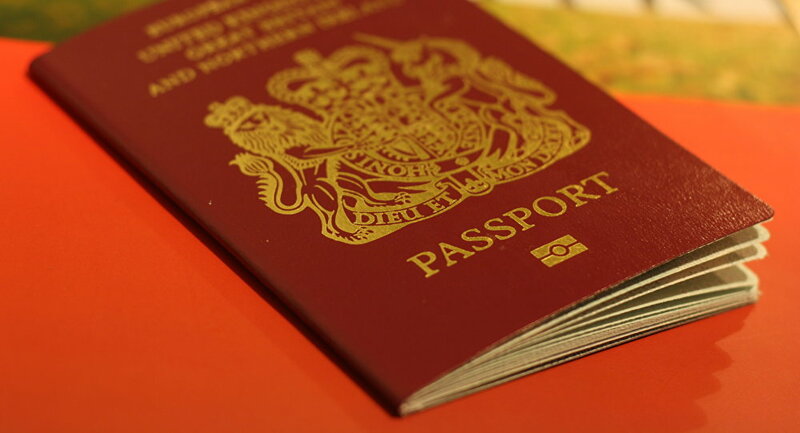 British passports applications from people in other EU countries jumped that month by 127 percent in the Netherlands, 126 percent in Germany and 56 percent in France. Whether to have a "hard Brexit" or a "soft Brexit" is a key part of Britain's General Election campaign. Jeremy Corbyn, the leader of the Labour Party, said Tuesday, May 9, the issue of Brexit had been "settled" and Britons now should decide on the policy of the country after they leave the 28-nation bloc. "This election isn't about Brexit itself. That issue has been settled. The question now is what sort of Brexit do we want — and what sort of country do we want Britain to be after Brexit," Corbyn said. Leader of the opposition Labour Party Jeremy Corbyn delivers a speech laying out the plan for the party following the Brexit vote in June 2016, in London, February 24, 2017. The Tories appear to prefer a hard Brexit while Labour wants a softer exit and the Liberal Democrats have promised a second referendum on EU membership. Figures compiled by the Passport Office show 13,070 people living in other EU countries applied for their first British passport in 2016, up 35% on the previous year. The rise is twice as great as the rise between 2014 and 2015. Two thirds of the applications were made on behalf of children. The figures were released to the Financial Times, after they made a request under the Freedom of Information Act. Many of the three million EU citizens living in the UK also applied for British passports but they are not included in these figures. Marjorie Wessel, a Briton who lives in Dusseldorf, Germany applied for a British passport for her youngest daughter, to ensure she would be able to live in the UK and attend a British university as a home student after Brexit. "I am always going to be a foreigner here. The UK is one country where I really belong. And my children, too, want to put down some roots and call somewhere home." France was the source of the largest number of applications, with 2,369 people applying for a British passport last year, a 28% rise on 2015. There were also 2,140 applications from Germany, a rise of 60%. The EU's chief negotiator, Michel Barnier, said last week European Union citizens' rights were the first priority in Brexit negotiations. He said EU citizens should be able to live as they currently do, without having to get British passports. But the number of people applying for British passports is less than the figures for British citizens applying for other EU passports, especially Irish documents. The Foreign Ministry in Dublin has deployed extra staff and resources into its passport service to cope. Around 23,000 Britons applied for Irish passports in the first three months of 2017, a 68 percent increase on the same period last year.